I'm certain that you know why you developed your solution. You know who should buy it and why. The problem though is that the prospective customer doesn't know. You're making them work too hard to figure out that essential information. You need to convey it more clearly so they can grasp it... quickly. I can conduct an expert, qualitative assessment of your messages and value proposition, gathering insights from customers and competitors. With that information, I’ll develop messages that clearly explain what problem your product solves, why someone should pay you for it, and why it's better than alternatives. Companies often end up with a hodge-podge of individual marketing programs: a website, email, events, SEO, paid search or other assorted tactics. The problem is that despite all the activity - and the expense - you're not getting the results you need. Not enough prospects are making it through the entire process from lead to paying customer. I can develop an end-to-end customer acquisition machine. It generates visibility and attracts leads, converts leads into paying customers, and retains and up-sells existing customers. I can design a process from scratch, or fix an existing program that’s full of leaks and bottlenecks. The customer acquisition plan is designed specifically for the unique needs of SaaS companies. "Content marketing" or "inbound marketing" can be a very effective way to attract and retain customers... but only if the content is useful. The material needs to be relevant, and it should consistently convey the company's core value proposition. Based on your messages and positioning, I can prepare papers, blog posts, press announcements and other marketing materials that are valuable to your prospects and essential for an effective content marketing strategy. I’ll provide compelling and consistent deliverables needed for each stage of the sales and marketing process. I work with both smaller companies and larger, well-established companies looking to accelerate growth and acquire customers more efficiently. When they first talk with me, many of my clients are already using a mixed bag of tactics - website, tradeshows, pay-per-click, etc. - but they aren't happy with the results. They need a more structured approach. Most of my engagements with my clients begin with an assessment of the company's market and current marketing messages and programs. Based on that assessment, I can develop practical recommendations for enhancements. These often include recommendations for a more concise and compelling value proposition & messages and a more cost-effective customer acquisition and retention plan. Many of my initial engagements with clients are 4 to 6 weeks long, with the scope designed to fit the client's particular needs. The fee is based per project, not an hourly or daily rate. Once I have prepared my recommendations, I ensure that my clients fully understand them. I don't just send along a finished document and walk away. I help with a smooth hand-off to the team handling implementation. I look at the entire customer acquisition process from beginning to end. Often in their eagerness to "do something," SaaS companies will bring on a variety of marketing service firms that specialize in particular tactics - search engine marketing, PR, videos, social media, or website development. What they often end up with is a hodge-podge of uncoordinated marketing tactics that aren't often well thought through and don't produce the results they need. By taking a strategic view - starting with a compelling value proposition and then developing a comprehensive program that builds visibility and attracts leads, converts leads into paying customers, and retains existing customers - my clients get a well-structured, overall plan. I specialize in the unique challenges faced by software-as-a-service (SaaS) companies. Though many of the tactics for acquiring and retaining customers for SaaS solutions may be similar to those used by on-premises solutions, the audience, the messages, and the processes are different. I've marketed both kinds of solutions, and I know the differences from first-hand experience. 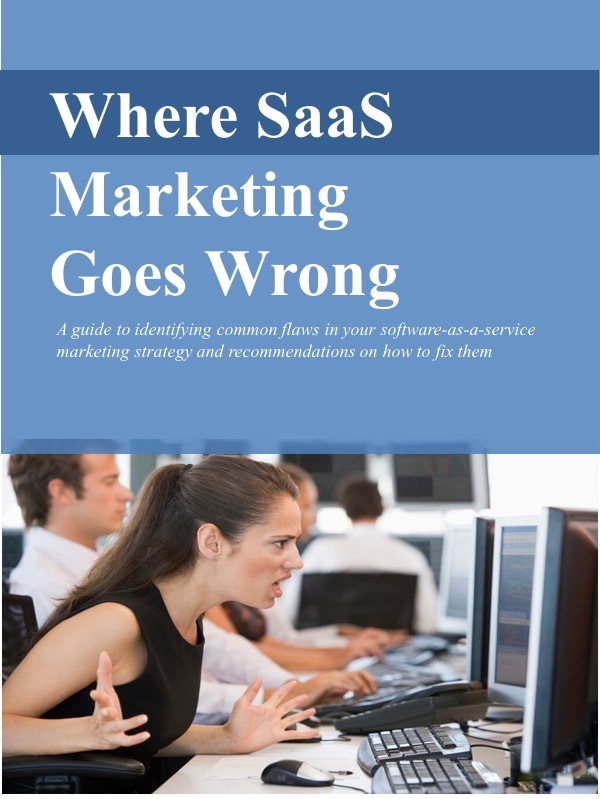 Because I've spent most of my career on the "vendor side," handling marketing responsibilities with software and SaaS vendors, I understand that marketing professionals need practical recommendations that they can implement. Large theoretical tomes that sit on the shelf are not especially helpful. When my clients hire SaaS Marketing Strategy Advisors, they work directly with me and get the benefit of my unique expertise. I don't pass the work along to junior associates or sub-contract it out. When you call, I'm the guy that picks up the phone. I develop recommendations based on each client's particular situation and requirements. I don't take a "cookie-cutter" approach. I deliver advice based on a solid understanding of the client's specific market, solution, and marketing challenges.